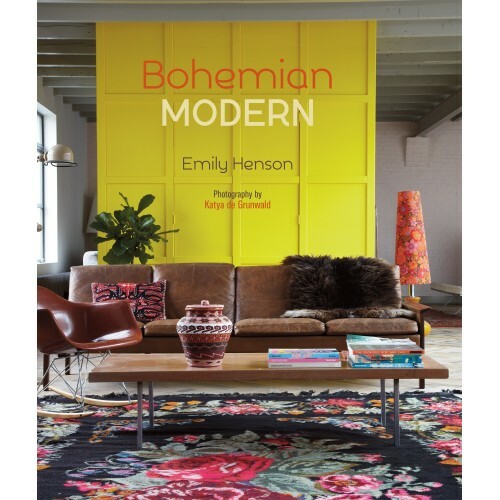 The Bohemian Modern home is a place where creativity, individuality, and a wild mix of colour and pattern meet in a modern environment. Whitewashed walls and polished concrete floors are brought to life by vibrant Moroccan rugs and wall hangings; a cosy chair made from wicker suspended from the ceiling, and a veritable jungle of house plants – clustered in pots, hanging from the ceiling or even growing on the walls. The style certainly gives a nod to ʼ70s chic, with its use of shagpile rugs, Swiss cheese plants, and macramé, but it stands firmly in the present day by boldly contrasting those elements with sleek modern art on the walls and polished concrete worksurfaces. Emily Henson starts by taking a look at the different facets of the look: pattern and colour, textiles, handmade pieces, living with houseplants, and collections and display. She also offers up styling tricks to use at home and ideas for recycling and reuse. 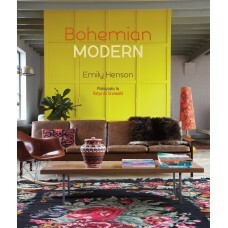 Next, a series of case studies take a closer look at freespirited and creative homes and the people who live in them. From a restored barn on the coast of Morocco to a former parking garage in the Netherlands that's been converted into a flexible family live/work space, Emily shows that any home can have Bohemian Modern style.